November 2014 was twenty-four months ago. That's how long it's been since I've made baked donuts. My good friend Ariel was living in the apartment above mine (back in lil' Rhody). 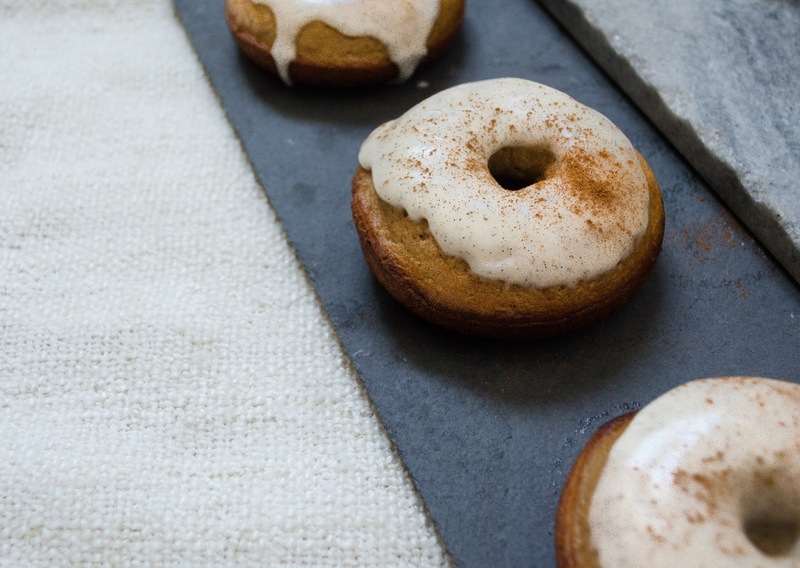 She was a darling and let me borrow her donut pan so I could make these lovely pumpkin spice donuts. Ariel later moved away to Indiana with said donut pan and I miss them both so much. Ariel - I promise I miss you much more than the pieces of kitchen equipment you own. I'll visit you one day in Indiana. I'll come bearing my new donut pan and we can donut the night away. I'm all about a good, golden fried donut, really. My favorite spot to indulge in here in Los Angeles is Donut Friend over in Highland Park. I'll treat myself to one of their blueberry donuts from time to time. It's the act of frying that makes me feel gross and greasy. I fried up a batch of shortcut donuts back in May, which was followed by a long, hot shower to wash the grease off. I've yet decided that deep frying food is not my thing and I do not intend to do it again anytime soon - case closed, we can all move on now. 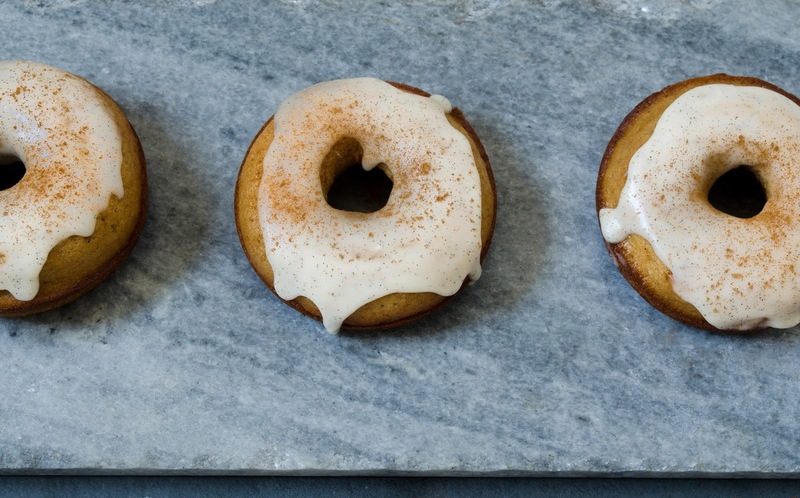 The good news is, when done right, baked donuts are just as tasty as fried ones. 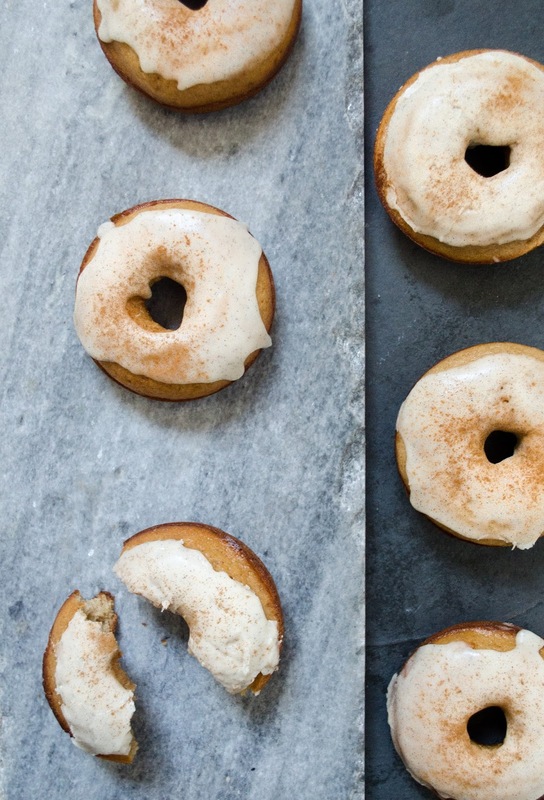 Plus, baked donuts are not nearly as time consuming or messy to make. I promise they're still just as sweet and lovable as their deep fried cousin. Dare I say they're healthier too? Lately, I've been completely glued to Molly Yeh's new cookbook, Molly on the Range. I'm such a fan that I RSVP'd to her book signing at Pages in Manhattan Beach tomorrow. 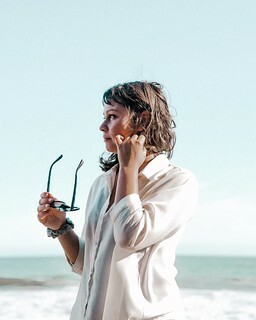 I would love to bring someone with me who won't mind comforting me during a minor fangirl meltdown consisting of nervous excitement (before) and wide shy eyes and speechlessness (during), paired with a little "did I make a fool of myself?" (after). Who's down? 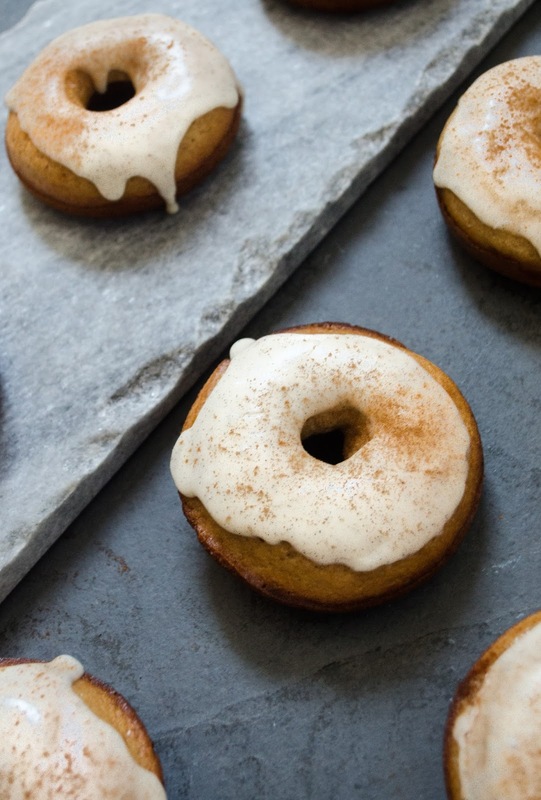 These donuts were actually made using a slightly adapted glazed apple cider donut recipe from Molly's blog. Yeah, I'm a little obsessed. Rather than buying boiled cider, I bought a half gallon of apple cider from... a place that I'm going to pretend was an East Coast apple orchard... and reduced it down until it was a syrupy-like liquid. I also added the *Jessica touch* with a vanilla bean glaze that really makes this donut a star in the night sky. If you don't have access to vanilla beans, then you can surely sub. in vanilla extract, but I do guarantee that spending an extra few dollars on vanilla beans is entirely worth it. Heat apple cider in a small saucepan over high heat. When the cider boils, turn to medium heat for about 15 minutes until it reduces to 1/4 cup. In a large bowl combine the flour, sugar, baking powder, baking soda, spices, and salt. Mix well. In a separate bowl, whisk the egg, milk, canola oil, vanilla, and 1/4 cup of reduced cider. Bake for 9-11 minutes or until a toothpick into the center comes out clean. 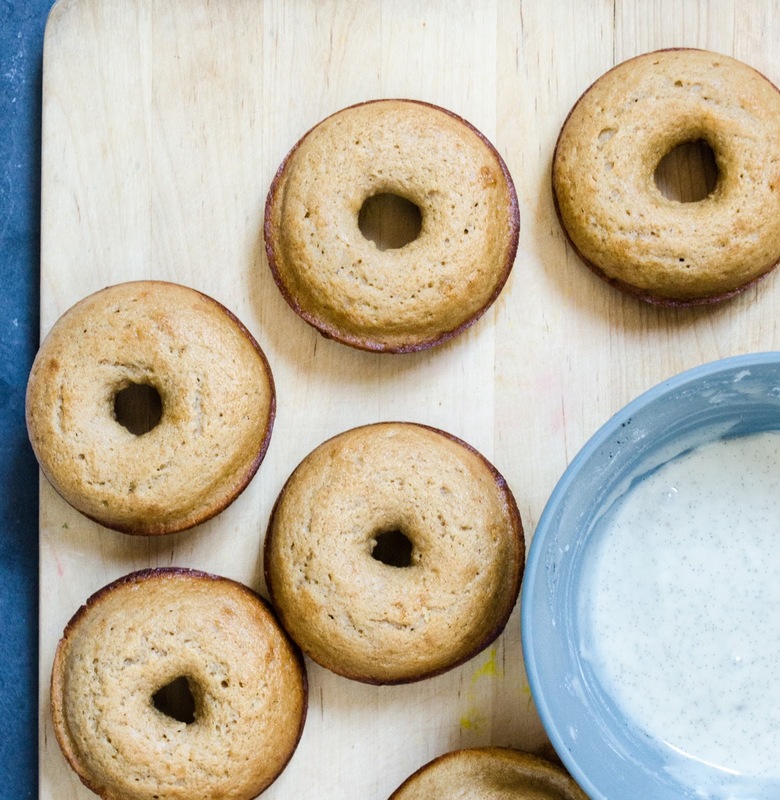 Remove the donuts from the pan and place on a cooling rack to cool completely. 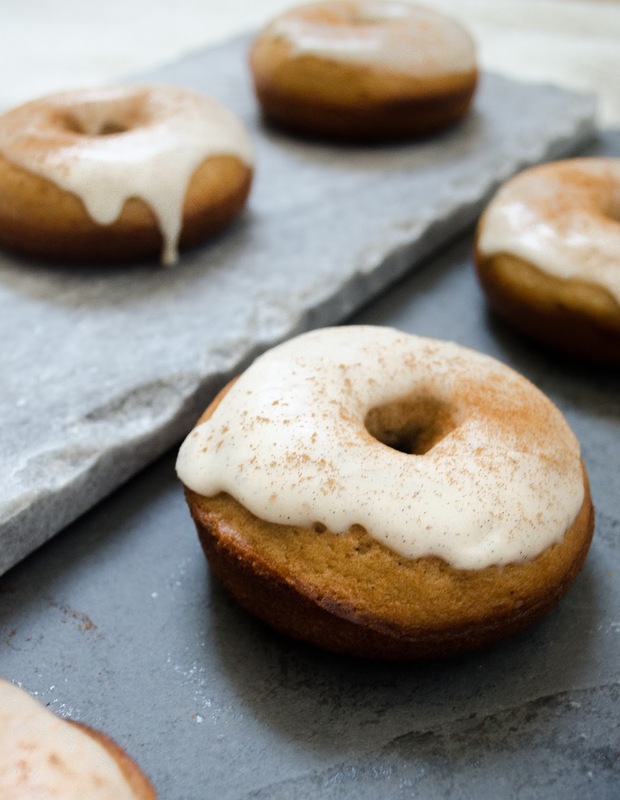 While you are waiting for the donuts to cool, make the glaze by whisking the powdered sugar, milk, and vanilla bean together. Dip the tops of the donuts into the glaze and let the excess drip off. Dust with cinnamon and voila! You're done! 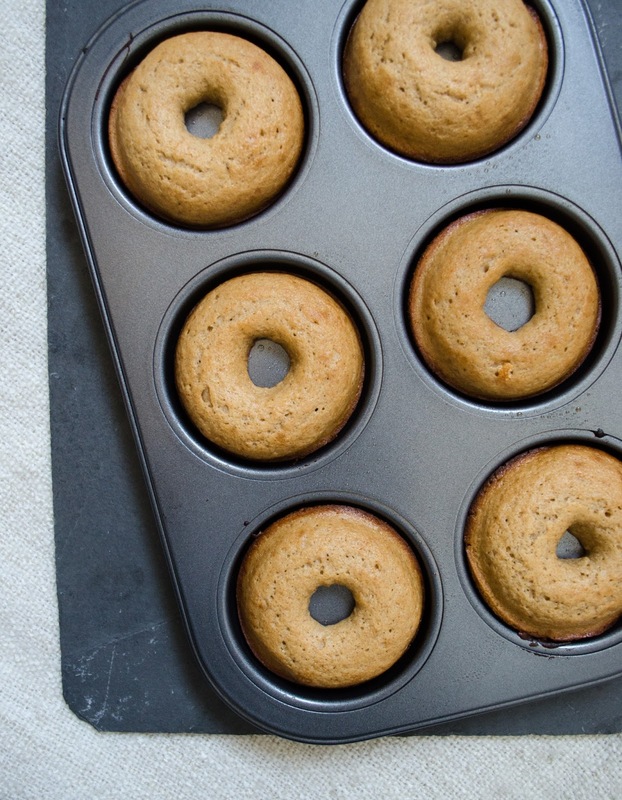 *If you don't have a donut pan, you can use a muffin pan for glazed donut-like muffins. 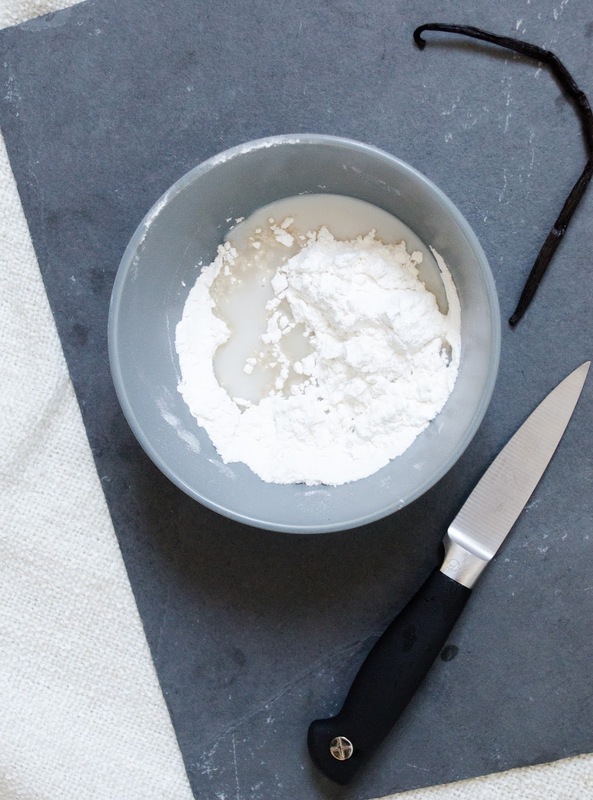 *If you don't have a piping bag, you can either use a large plastic bag to pipe or ever so carefully pour the batter into the pan using a measuring glass spout. These are pure perfection. Baked just to the right fluffiness and doused in that incredible glaze! I think I could take down a whole batch on my own! So glad! I actually had to bring a large portion of the batch to work the next day because I was afraid of devouring them all myself!